In less than four months, beginning with a staff of five, an obscure office buried deep within the federal bureaucracy transformed the nation's hospitals from our most racially and economically segregated institutions into our most integrated. These powerful private institutions, which had for a half century selectively served people on the basis of race and wealth, began equally caring for all on the basis of need. The book draws the reader into the struggles of the unsung heroes of the transformation, black medical leaders whose stubborn courage helped shape the larger civil rights movement. 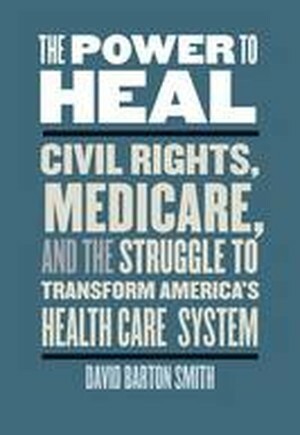 They demanded an end to federal subsidization of discrimination in the form of Medicare payments to hospitals that embraced the "separate but equal" creed that shaped American life during the Jim Crow era. Faced with this pressure, the Kennedy and Johnson Administrations tried to play a cautious chess game, but that game led to perhaps the biggest gamble in the history of domestic policy. Leaders secretly recruited volunteer federal employees to serve as inspectors and an invisible army of hospital workers and civil rights activists to work as agents, making it impossible for hospitals to get Medicare dollars with mere paper compliance. These triumphs did not come without casualties, yet the story offers lessons and hope for realizing this transformational dream.